More than 5 000 people turned up at Z Ward today to see inside this amazing building. Unfortunately we were unable to accommodate the demand, even though we showed 200 people in before the 9 am opening and stayed open an additional hour till 1 pm. We managed to get more than 2 500 people through, before we had to turn people away. Fortunately Beach Energy have been kind enough to offer a second Open Day, proposed for Saturday, November 15. Those who missed out and provided email addresses will be offered priority access to that event. Those who wish to pre-register should sign up to the Heritage Watch newsletter (Go to the homepage and click ‘Get Updates’ at the top right). The email newsletter will keep you informed about other heritage news and events also. You can find out more about Z Ward here. Thank you to all of you who turned out today and for your interest in saving our heritage. Apologies to those who missed out today. And a big thank you to Beach Energy and the volunteers from the National Trust and Glenside Hospital Historical Society who made today’s event possible. At last, the public got to see inside this remarkable building. If you have some thoughts or recollections about Z Ward, please share them with us. Hi, I clicked get updates in the top right hand corner and gave my name and email address. Is this all I need to do to guarantee a pre registered spot to see Z Ward on Saturday 15th November? I have myself +3 who wish to see it! Hi Alice, everyone who has signed up here or provided their email last Saturday will receive an email early next week to register for the open day on November 15. 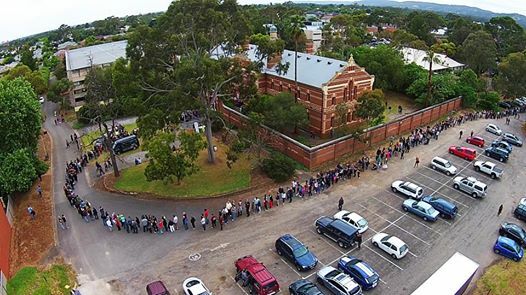 I lined up for one and a half hours last Sunday. A man then kindly came and said we may not get through, and gave me a piece of paper with this website on it. No one asked for an email address though, and now I see that preference will be given to people who supplied an email address. How can I do this? Hi Janine, we will add your email to the registered list. You will receive an email early next week which will enable you to pre register for Saturday 15th. We are just working out the details. I was given the slip of paper also but not asked for an email address. Please add my email address to the list. My husband and I are desperate to see z ward. We lined up previously for 1.5 hours but unfortunately we’re unable to get inside. The proposed date of 15/11 we are away, and are requesting you have another open day also. PLEASE!! Thank you for your time and consideration. Hi Crystal, I’m sorry you can’t make it on the 15th. That is the last public open day, but we will be offering smaller guided tours over coming months, including night tours. 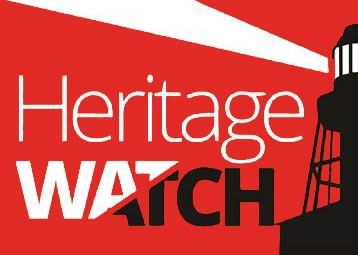 Sign up to Heritage Watch updates on the homepage here for information as it comes available. Let’s hope you can make it to one of those events. I was not able to get in last week either. Could you please also add my email address to the list? We have added you to the list. Here is the link to register for next weekend’s open day.